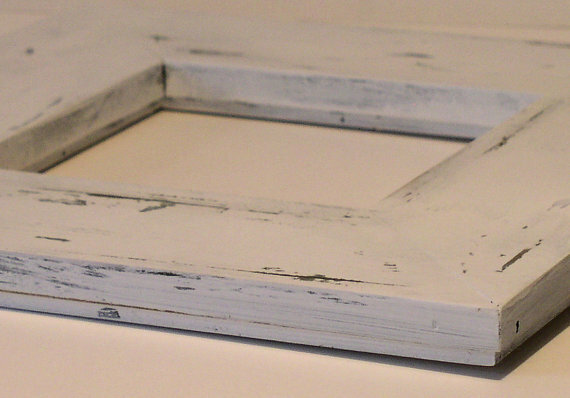 This cottage style frame is painted distressed and well worn shabby chic 3" wide pine wood frame is white with dark green flecks showing where the wood has been worn. The opening is 6" x 6". Great for your farmhouse cottage decor. 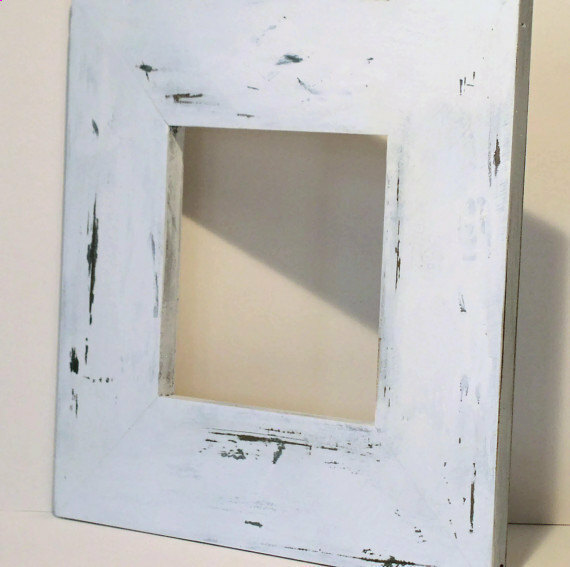 Great gift a painted distressed white wood frame custom ready to ship farmhouse cottage shabby chic style. Shown with my iris oil painting available in my shop. Acrylic paint green base and white top coat sealed with lacquer and waxed. 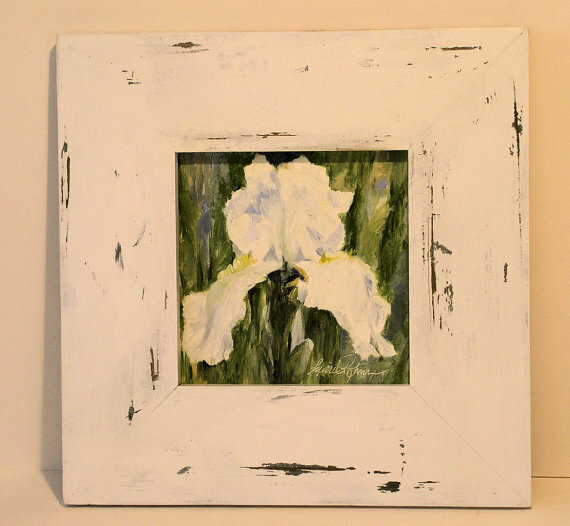 The overall size is 12" square and is ready to hang with a sawtooth hanger. THIS FRAME IS READY TO SHIP AND HANG.